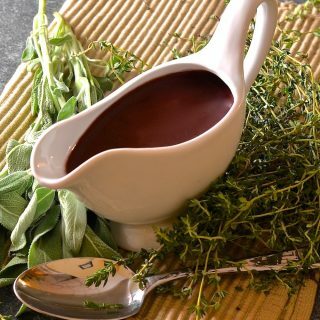 Extra tasty, rich & flavoursome Red Wine Vegan Gravy, infused with sweet vegetable & fresh herb flavour and perfect for serving with your holiday feast! I planned to post this Red Wine Vegan Gravy recipe a little earlier than I am but life has been so busy and gravy is very unphotogenic. The plus side of me posting this recipe today is that my gravy for Christmas day is now made. 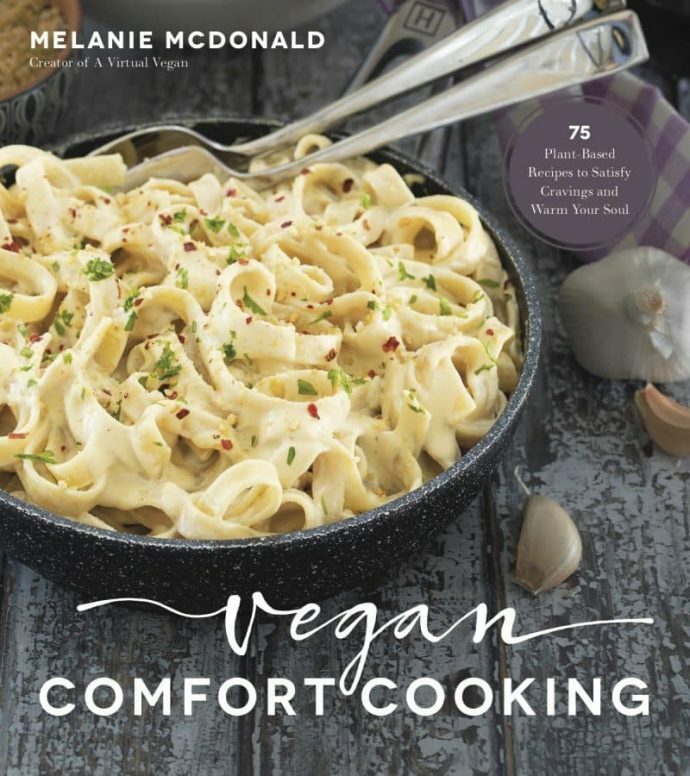 It keeps very well for up to five days in the fridge and also freezes really well so you can make it well in advance and take some pressure off yourself on the day of your special meal. I am all for anything that makes life easier. Gravy can make or break a dish. There is nothing worse than bad gravy and nothing better than good gravy. 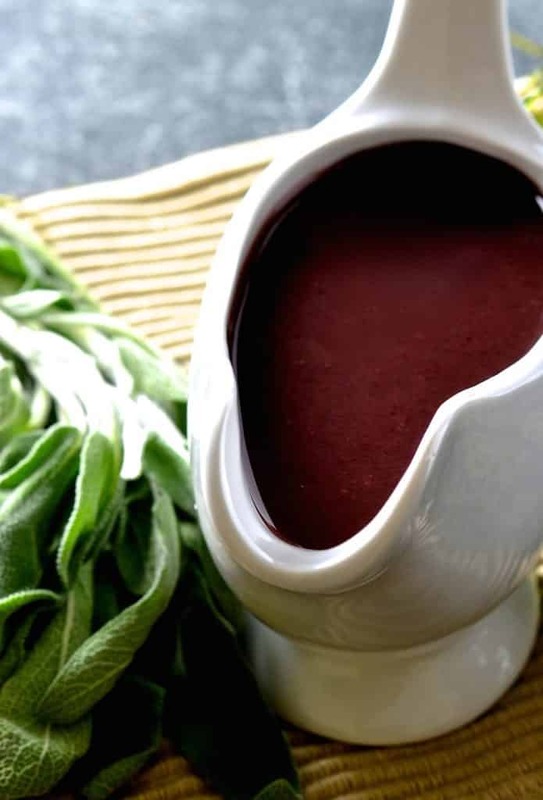 This Red Wine Vegan Gravy is extra tasty, rich and flavoursome. Slow cooked onions, carrots and celery add sweet vegetable flavour, red wine adds depth and fresh herbs add an extra layer of deliciousness. It is a regular feature on the menu here and I always end up drowning my meals in it. It is fantastic served with roasts, Wellingtons, veggie sausages, piles of creamy mashed potatoes and pies. In fact I am having it with a pie on Christmas day. Portobello Pot Roast is being made as a pie filling and will be served with roast potatoes, a variety of different sides and lashings of this fabulous Red Wine Vegan Gravy! It would also be amazing with my Mushroom Lentil Loaf with Cranberries. This will be my last post before Christmas. I am looking forward to spending some quality time with my family and taking a few days break. Life has been so hectic lately and I have been feeling a little frazzled. I will be back with more great recipes in the new year (you might possibly get one before that but no promises). If you make any of my recipes over the holidays feel free to share them with me on Instagram or Twitter. I am @avirtualvegan. Use the hashtag #avirtualvegan on Instagram. You can also share them on my Facebook page. I enjoy seeing what you are cooking. I love it when you leave feedback here on my website too. 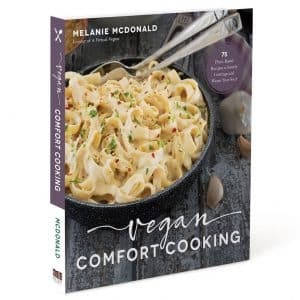 It’s great to hear what you think and it also helps newcomers to A Virtual Vegan see that my recipes are reliable. 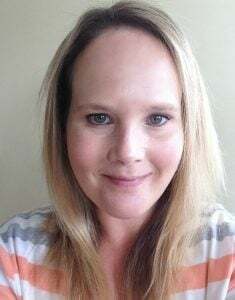 I have had a fantastic first eight months of blogging and have loved every minute. Here’s to more of the same in 2016. Have a wonderful Christmas and New Year and eat well! 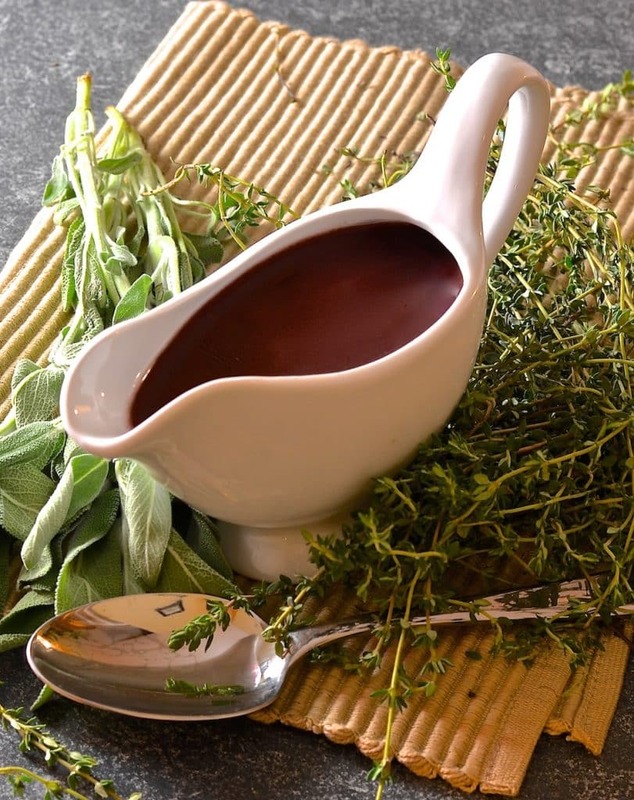 Extra tasty, rich & flavoursome red wine vegan gravy, infused with onion & fresh herb flavour and perfect for serving with your holiday feast! Add the onion. carrot, celery and herbs and sauté slowly, stirring often, for about 10 minutes until golden brown and caramelized. Turn down the heat to low, add the flour and stir very well. It will be clumpy and weird looking but thats fine. Cook the flour for about one minute. Remove from the heat and very gradually add the red wine a few tablespoons at a time, stirring very well in between to work out any lumps (don't worry too about them as you will be straining it later anyway). Once all the red wine has been added, pour in the broth/stock, salt, pepper,sugar and Tamari and cranberry sauce if you are using them. Turn the heat back up to medium and bring to a gentle simmer. Stir constantly until thickened (about 10 minutes). Strain through a sieve, mashing all the veggies and herbs down with a spoon to get maximum flavour from them. Serve right away or cool and warm just before serving. It can also be stored in a sealed container in the fridge or freezer until needed. Tamari adds a little more depth to the gravy but isn't essential. It still tastes good without it so don't buy it especially for this. If you have it use it, if you don't then don't worry about it. The gravy is great without the herbs & cranberry sauce but if it is Christmas or Thanksgiving and you have some lying around then add them for an extra pop of flavour and to make it even more special. Made this for Christmas dinner. Loved it!! Thank you. So rich and tasty! 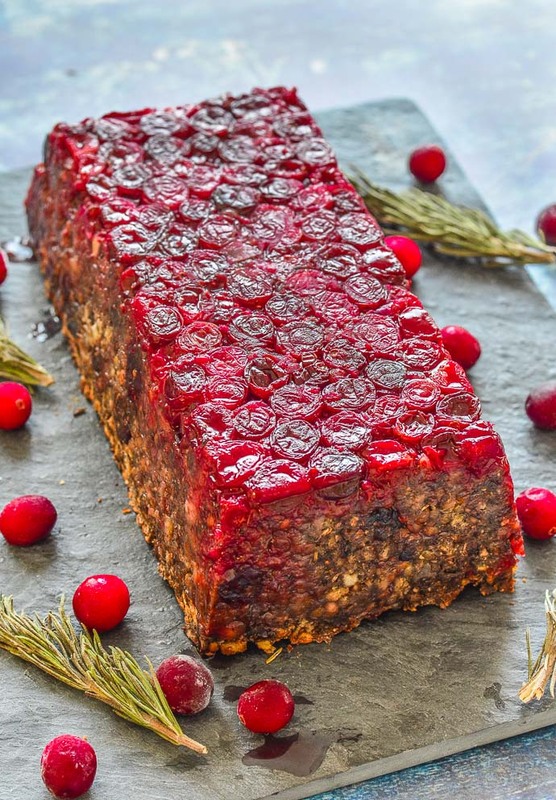 Huge gratitude to you for this gravy recipe and the Mushroom Lentil Loaf with Cranberries. I love to experiment with cooking and baking myself but as it’s 3.00a.m. on Christmas night I will now gratefully follow your recipies in preparation for tomorrow. Best wishes for a happy holiday. Happy holidays to you too John. I hope you enjoy both recipes! Can you advise on a vegan red wine ? I tend to buy Shiraz or Merlot, but I only buy local wines as we have some great wineries around us, so my recommendations probably aren’t much help unless you are in BC, Canada. Copper Moon is my favourite for cooking because it’s really reasonably priced here and it’s vegan but that’s a local one. My favourite for drinking is any from Tinhorn Creek winery. That’s also in BC. Barnivore is a great website and app for checking what wines are vegan. This article from PETA might be helpful https://www.peta.org/living/food/vegan-wine/ When I’m not buying wines I’m familiar with I go to the liquor store, armed with my phone and the barnivore app and search each one until I find a vegan one. Just make sure you don’t use a really cheap cooking wine. It should be one of a quality you would drink. Any average priced bottle of red will work in this gravy, and if you don’t drink the remnants, freeze them for when you make the gravy again. Hope that helps! I didn’t bother straining out the vegies as I thought they added an interesting texture, so I’m just calling this a “sauce” rather than a gravy. I will definitely use this recipe again! And such a shame that there was red wine left over from the recipe that I felt compelled to drink while cooking! HA! Thanks Mel! Hi, how long will this keep in the fridge? Easily 3-4 days. Probably a bit longer. It freezes well too. It will get really thick and gloopy when it cools but as soon as it warms back up again it will loosen up. You can always add a drop of water if you need it a bit thinner too. 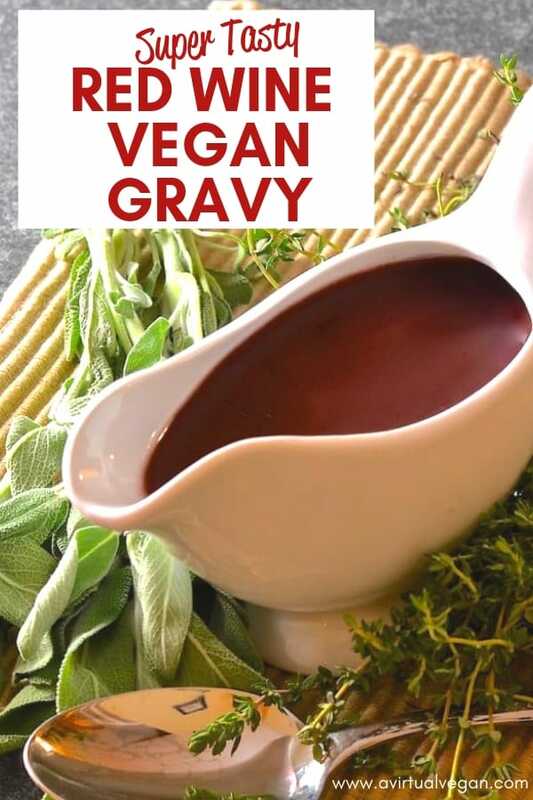 I found it so hard to find a good vegan gravy. You nailed it though! Going to make this for my wedding, to serve over lentil balls. Thank you for the recipe! Oh wow! I am honoured! It will be great with the lentil balls. In fact it goes great with nearly everything. I hope your wedding is absolutely fantastic and that you love every minute! Congratulations in advance! Oh and by the way the crown I am wearing is the tiara I will be wearing at my wedding! Love the tiara! I bet you are so excited. Have a fantastic day!